Have you ever considered how many choices you make each day? From the moment you wake up, you’re making choices large and small (starting, perhaps, with whether or not to snooze your alarm!). As health communicators, our job is to make it easier for people to make healthy choices. And the way we offer those choices can influence the decisions people make—this, dear readers, is called choice architecture. Let’s look at an example. 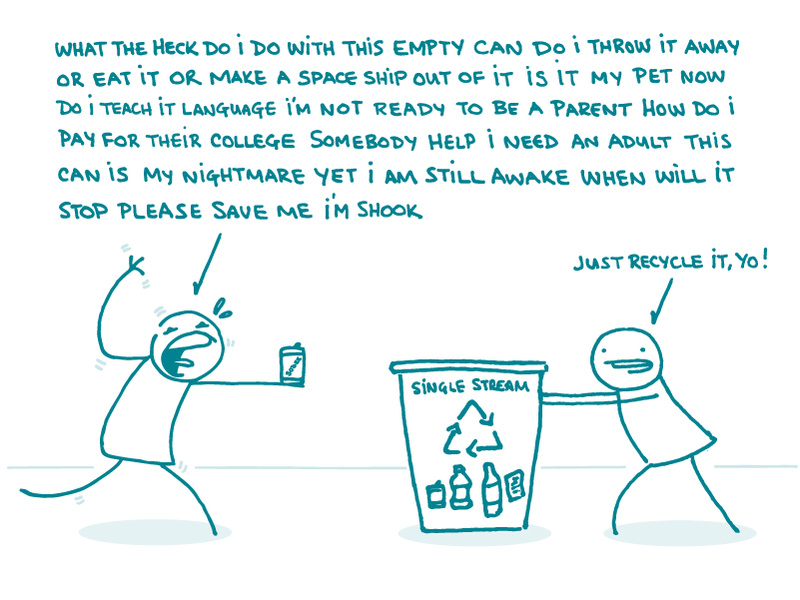 Jane might be more likely to recycle her empty can of seltzer instead of throwing it out if there’s a recycling bin next to the trash can. She might be even more likely to recycle if the bin has a label with examples of recyclable items! The choice Jane is making is how to dispose of her can. The choice architecture is everything from the kinds of receptacles available to where they’re located—and even how often they’re emptied. Smart choice architecture can have a positive impact on health. Consider organ donation: studies have shown that countries that automatically opt people in to their organ donation program have much higher donation rates than those that require people to take the extra step of signing up on their own. One way that health communicators can use the concept of choice architecture is by considering what action we want our audiences to take and creating tools or resources that make it easier for them to do so. For example, if you want someone to talk to their doctor about a health screening, give them a printable or mobile-friendly list of questions to ask. The bottom line: Use the concept of choice architecture to help audiences make healthy choices—easily!